Our sweet and savory Oxfam gift box will bring everyone together! 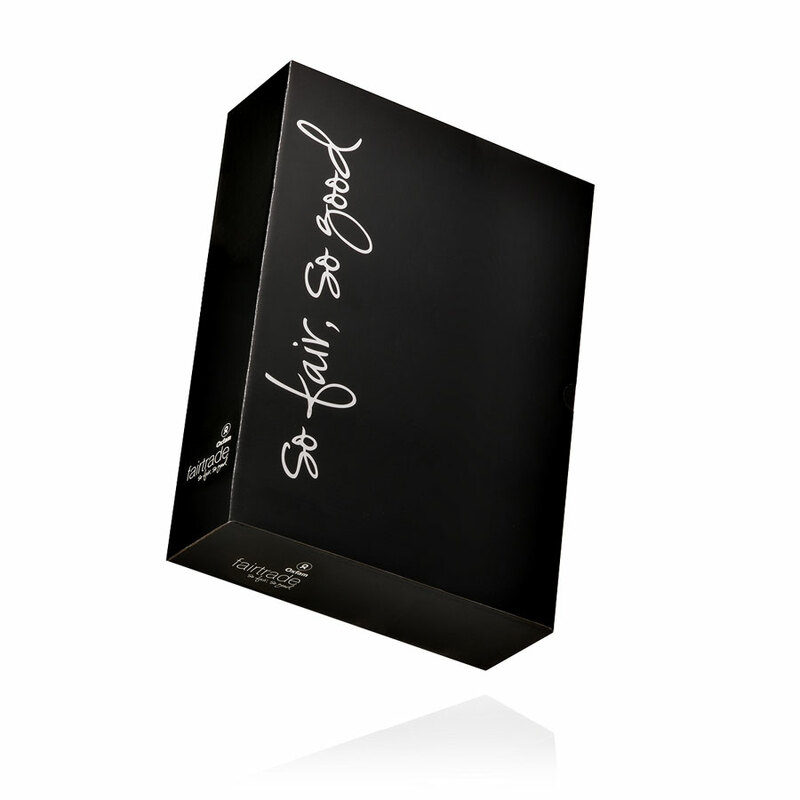 An abundant bounty of Fair Trade products await inside a stylish black gift box. 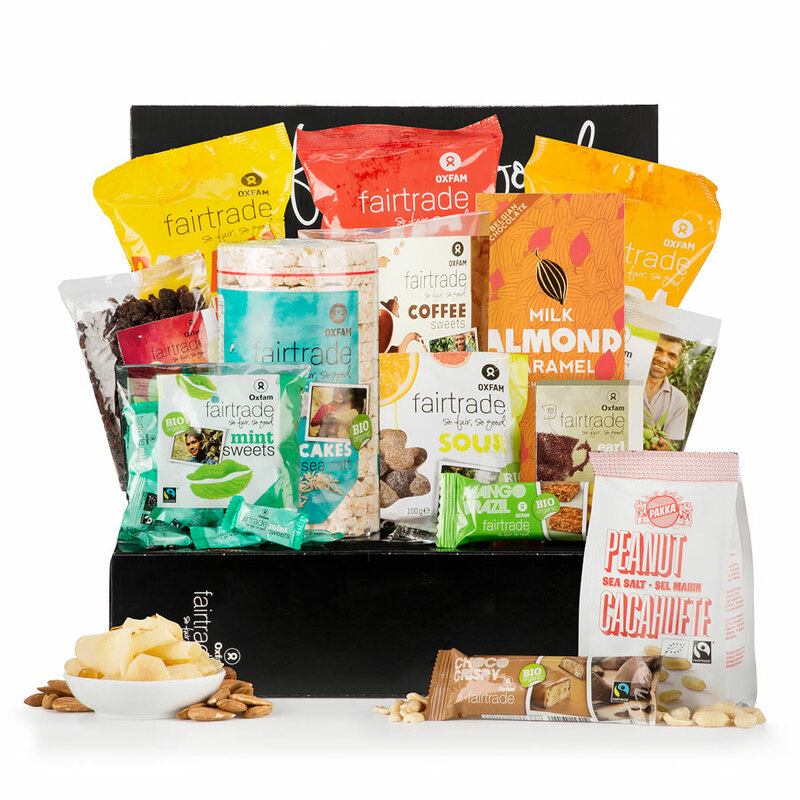 Discover crunchy Yuca chips, organic milk and dark chocolate tablets, coffee candies, almonds, raisins, rice cakes, organic Earl Grey tea, and other Fair Trade gourmet foods. It is a perfectly balanced collection of sweet and salty snacks with plenty for a group to share. 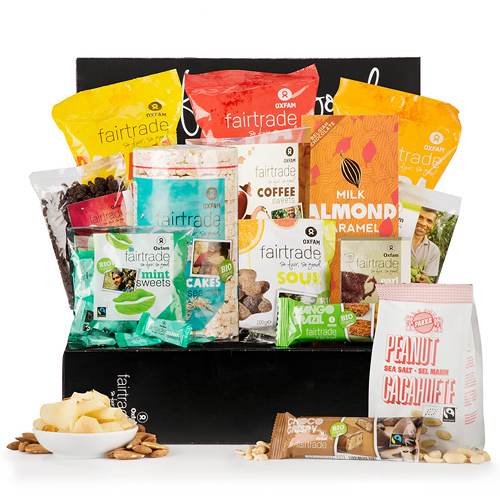 Send Oxfam Fair Trade gift sets for office gifts, holiday celebrations, birthdays, or simply to say "thank you".